Hair loss can be a real burden. Whilst some people are able to embrace their new look, others spend a lot of time trying to change their appearance and find ways to cover up their hair loss. Thankfully, those who experience bad hair days as a result of hair loss needn’t suffer any longer. The answer is trichology. Trichology is the study of scalp and hair problems. It covers different types of hair loss, baldness and scalp problems, as well as non-medical treatments for them. It’s best to think of a Trichologist as a type of hair doctor. They are qualified to deal with hair loss and other conditions like alopecia and provide treatments for them. 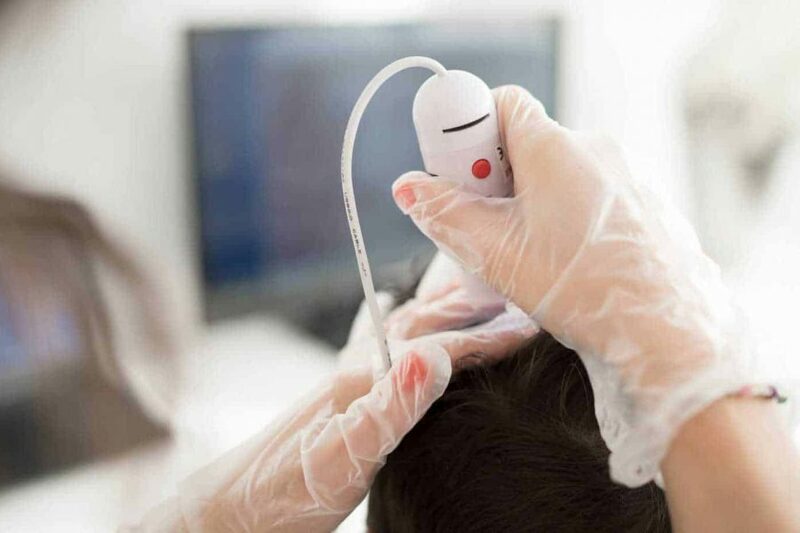 When dealing with hair loss, many people prefer to see a Trichologist than their GP, as they are more open to exploring different treatments and also specialise in hair and scalp problems alone. If you decide to see a Trichologist for hair loss problems, then you will be given a thorough consultation. Your Trichologist will carry out an examination of your hair and scalp and discuss your lifestyle with you. You are likely to be asked questions about your diet, general wellbeing and medical history. If your Trichologist believes that your hair loss could be a symptom of an underlying health condition, they are likely to recommend that you see your GP. This doesn’t mean that they won’t still provide you with a treatment plan for your hair loss but it is important that underlying medical conditions are identified and treated to prevent further hair loss and damage to your health. Depending on your hair loss and the condition of your scalp, your Trichologist is likely to recommend treatments such as hair re-growth shampoos and creams. These may be produced by the Trichologist (if they have a Medicines Control Agency licence) or prescribed from other manufacturers. If you are prescribed hair loss treatments, it is important to follow the guidelines and instructions given to you by your Trichologist. In some cases, a Trichologist may suggest a hair transplant. These are becoming more and more popular with both men and women and are something we offer here at Wimpole Clinic. Hair loss surgery is designed to help people regain natural lost hair, along with their confidence and general happiness. We offer two different types of hair transplant surgery here at Wimpole. The first is a Follicular Unit Transplant. This is where a very small amount of hair is removed from the natural donor and used to create grafts. These grafts are then placed into the bald area, creating new hair that mimics the natural pattern and distribution of the rest of the hair. The second surgery we offer is called Follicular Unit Excision. This procedure involves removing donor tissue from a broad area of the back of the scalp. An incision is then made into the skin around the upper part of the follicle, which is then pulled directly from the scalp, leaving a small open hole. The surgery does not leave any scarring. If you are fed up of having bad hair days as a result of hair loss, it is definitely worth seeing a Trichologist or hair loss specialist like Wimpole. We can help you identify your hair loss problems and their cause, whilst also finding a suitable treatment. Whether it is special hair loss creams and shampoos or a full hair transplant, we will ensure that you are provided with an effective solution that will get you feeling happy and confident about your hair again.